1930s Green Acres Dock. Green Acres (former Lake House) in the background on the left. Photo courtesy of Diane Pankow. 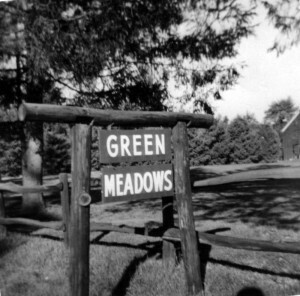 Sign to Green Meadows (Green Acres/Lake House) on Lake Highland. 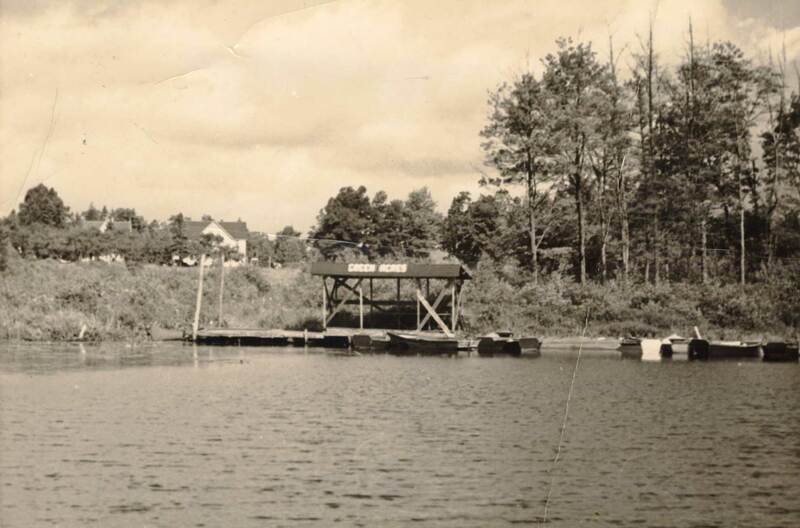 The original Wilhelm Bosch Lake House was on Hartung Road, a bit north and west of the top of Highland Lake. Ed Bosch assumed ownership of Lake House in the early 1920s. Ed built a small house for his father Wilhelm and his second wife Mary, across from the Lake House. Charlie Pankow was the new owner of the Lake House in June 1938. Charles, his sister Agnes Schmid, and mother Agnes had been guests at the Lake House for a couple years around 1935. They became interested in becoming innkeepers and rented the Lake House as innkeepers in 1936 and 1937. Charlie renamed the place Green Acres and it became a family endeavor. Charlie’s sister Agnes Schmid and her husband Henry’s sisters Catherine and Lillian, and a cousin Martha worked in the kitchen cooking; Charlie and Henry worked on renovations. Henry Schmid worked for Commercial Union Insurance on Maiden Lane in Manhattan, and came up weekends. Henny was an accomplished self taught musician and entertained the guests with his ragtime piano skills, accordion, banjo or guitar.—Diane Pankow. Farewell to Eldred, p. 187. 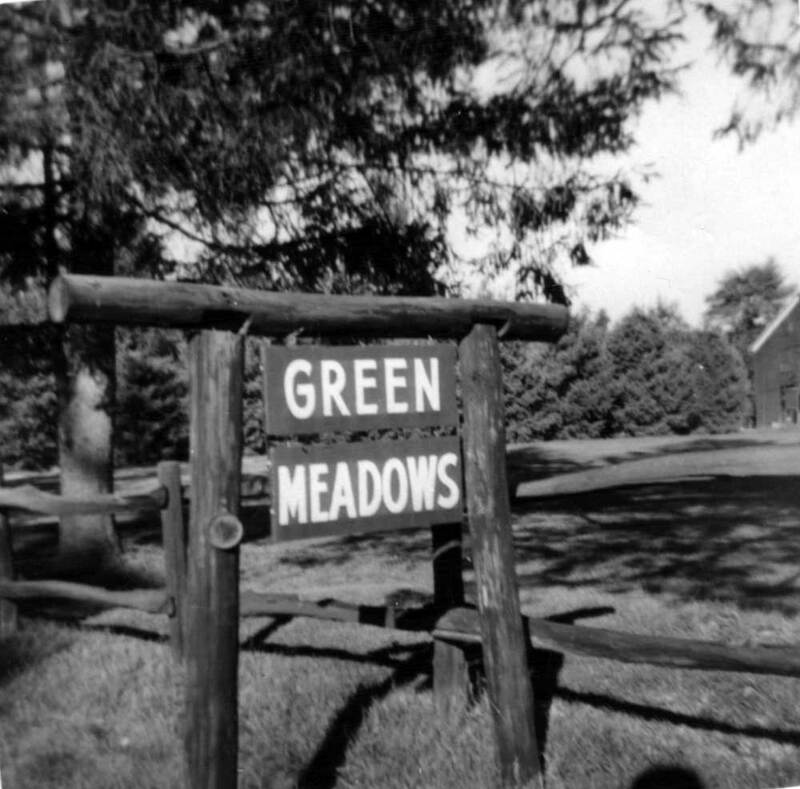 At some point Green Acres became Green Meadows. This entry was posted in Boarding Houses, Echo Hill and Mountain Grove, Farewell to Eldred. Bookmark the permalink.